And also? I ended up marrying that student who’d taken an interest in my work, rough and young as it was. We just celebrated twenty-five years together. Thank you, One-Way Ticket. 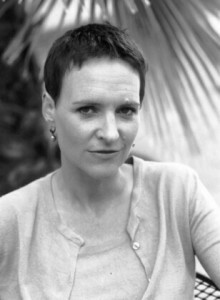 Antonya Nelson is the author of three novels and six short story collections, most recently Nothing Right (2009). Line Breaks is a regular feature in which accomplished authors introduce and share their first published stories with the Fictionaut community. You can read “One-Way Ticket,” originally published in Mademoiselle in September 1984, on Fictionaut. I thought, ah ha! I bet I know who circled those verbs! How fun to read this story, an utter delight. I had wondered about it. So good, so early.